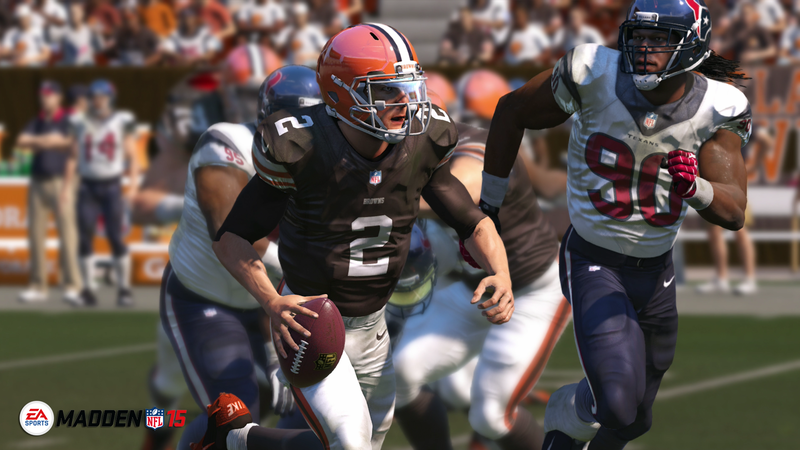 As much as I find it easy to troll EA and Tiburon for their annual cloneware – Madden 15 was the best Madden to date. That said, it still gets to me that they don’t update rosters after the Super Bowl. This has left many users to create roster updates and even add newly drafted players to teams in order to replicate what is happening in the league as far as rosters go. If you have followed NoobTubeTV over the last few years you will know that I almost exclusively play Offline Connected Franchise Mode. Moreover, you will know that I almost always use my Cleveland Browns. Even after finding the perfect sliders and gameplay tweaks CFM will get rather boring after a few seasons. It is incredibly easy to build up a team into a juggernaut. You simply need to invest in players that are between 20-26 years old that fit your play-style and keep them to minimum contracts until they are 30. It is a widely known fact that EA has told Madden gamers that players will start to decline once they hit that age threshold. Knowing how easy it is to relatively deal with the age issues of players and dominate with your team after a season or two of development it won’t be much of a shock to hear about people trading Madden in while they can still get some decent credit for it or simply leave it on the shelf to collect dust. Here are a few tips on how to keep your CFM fresh. Max Contacts – Figure out your favorite players on Offense and Defense and make them fixtures on your team for the rest of their career. In my case I had to choose between Josh Gordon and Johnny Manziel. Both players were 99 OVR by the time I got to the 2016 season and I decided to sign Johnny for the biggest amount of money and years (I believe it was 7 years, $140 million). This will help make your salary cap management a bit tougher as you choose who to build your team around. Don’t Scout Draft Prospects – It really is this simple. Don’t scout a single prospect during the season and you will quickly realize that what was once an incredibly easy draft process is more like real-life. It will become more of a lottery system for your team and you won’t be able to find those ‘not so hidden’ gems in later rounds. Give The CPU More In Trades – It seems that trade logic in sports games has decided to take a nose-dive in realism. NBA 2K actually has a trade difficulty slider (Madden needs this in the worst way!). Do not shirk the CPU for their Draft Picks or certain players you know are franchise quality. One Draft Pick Per Round (At most) – It is far too easy (as stated in #3) to load up on 10-15 draft picks every season. Make it a personal rule that you will not have more than one pick per round for every draft. This will prevent you from pwning the draft year-in, year-out. Madden has some of the dumbest draft logic in all of sports gaming, so don’t act like you really have to worry about the CPU. Coach Mode – This is something I have yet to do myself. Simply call the plays for your team, snap the ball and let the AI take care of the rest. This will make you look at your players in a different light and might even change the way you build your team. Previous Previous post: WTF Is Gamergate? And Why You Should Care.